One of the advanced features of the Spinsolve 80 is the ability to run a Multiplicity Edited HSQC, also known as HSQC-ME. This powerful 2D NMR sequence has proton in the horizontal (f2) axis and carbon in the vertical (f1) axis. The peaks appear where a proton is connected to a carbon atom. Additional information about “multiplicity” is given by the sign of the peak, just like in a DEPT experiment. Positive peaks (red) are either CH or CH3, while negative peaks (blue) are from CH2. This additional information really helps with correct peak assignment. 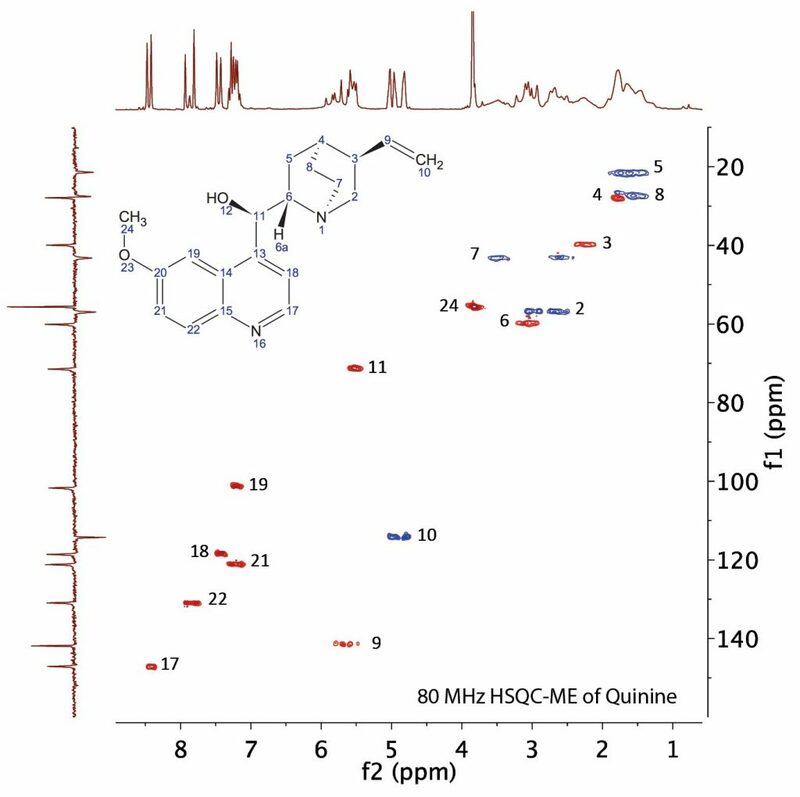 The example below is from an HSQC-ME experiment run on a sample of Quinine and shows all the peaks uniquely resolved and assigned.